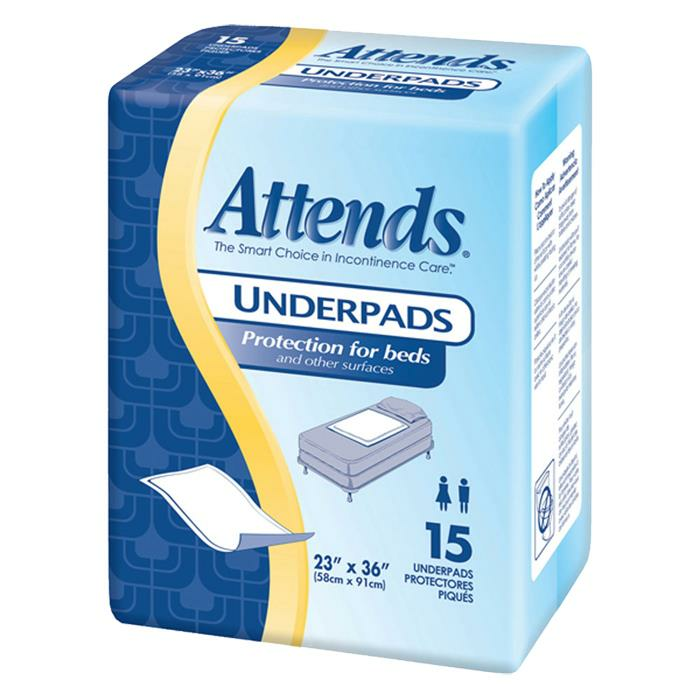 Attends Light Absorbency Retail Disposable Underpads are soft, cloth-like topsheets that covers entire surface to promote healthy skin. It has leak-proof backsheet which protects surfaces from fluid. Perfect for standard and everyday use. They are latex free and are used for light absorbency.